Sandra Lee, celebrated Food Network chef and longtime partner of N.Y. Gov. Andrew Cuomo, is recovering from a double mastectomy. He was by her side during last month's operation — along with her sister, Kimber. Cuomo, who's been the 48-year-old's boyfriend for a decade, has assumed the role of prime caregiver, one that I, Woody Weingarten, author of "Rollercoaster: How a man can survive his partner's breast cancer," am totally familiar. Lee reported that the 57-year-old Cuomo had been "extremely supportive." The star of "Semi-Homemade Cooking with Sandra Lee" underwent the procedure last month after tearfully announcing it to co-anchor Robin Roberts on "Good Morning America." She said she'd been stunned by the diagnosis by her medical team that she was "a ticking time bomb." Lee said she hoped her story would inspire women to get mammograms, even though the cancer industry is split on what age those screenings should begin. Some groups recommend they don't start until age 50; others prescribe 40 as a beginning point. Lee said that one of the first things she planned to do next was encourage the women in her family to have mammograms. She emphasized that if she'd waited until she was 50 to have the screening, "I probably wouldn't even be sitting here." Her original lumpectomy hadn't resulted in clean margins, so she faced six to eight weeks of daily radiation. She opted not to do that. She said, however, that she was opting for reconstruction surgery. Roberts herself had breast cancer more than four years ago. According to ABC News, a "devastated" Cuomo, when he originally heard the news, had said in a statement to the media that "a situation like this quickly puts life in the proper perspective and reminds one of what's truly important…I want to be with Sandy to support her in any way I can as she handles the trauma of her operation and the pain of the recovery." Lee, who lost 15 pounds during her hospital stay, earlier had exclaimed that cancer "beats up your body [and] beats you up emotionally…I wasn't going to let it rob me from one day of happiness." On her Facebook page, she subsequently wrote, after her week in the hospital and "a rough couple days" — "So happy to be in my own backyard. There is no place like home." A new peril has been discovered for an old insecticide. And it's intergenerational. Sort of a treacherous hand-me-down. A recent study shows "a startling link between pregnant women exposed to DDT and the breast cancer risk to their daughters," reported The Washington Post. The 54-year study, published in the Journal of Clinical Endocrinology and Metabolism, looked at women who were part of the Kaiser Foundation Health Plan in the Oakland-Berkeley area between 1959 and 1967. 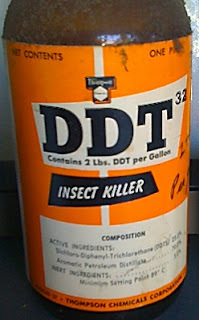 During that time, DDT, which was banned by the United States five years later, "was widely used and accumulated in the fat of animals that we eat and was found in milk, butter, cheese and other products in the food supply," according to the Post story by Ariana Eunjung Cha. Each one of the mothers, who gave birth to a total of 9,300 daughters, purportedly had some measurable degree of DDT in her blood. The story indicated that "elevated levels of DDT in the mother's blood were associated with almost a four-fold increase in her daughter's risk of breast cancer." Researchers also determined, the Post reported, that "those with higher levels of exposure were diagnosed with more advanced breast cancer." DDT — which previously had been linked with birth defects, miscarriage and reduced fertility — still is used in Africa and Asia to control the spread of malaria. 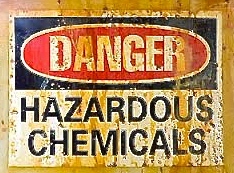 The Environmental Protection Agency classifies the insecticide as a probable carcinogen. In "Rollercoaster: How a man can survive his partner's breast cancer," which is aimed at male caregivers (as well as patients), I, Woody Weingarten, cite multiple studies that focus on possible causes of the disease.